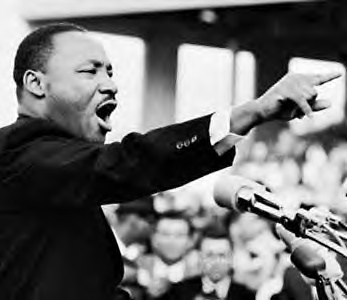 “Every man must decide whether he will walk in the light of creative altruism or in the darkness of destructive selfishness.”- Martin Luther King Jr.
Ray’s confession was given under pressure, and he had been threatened with the death penalty. Many suspecting a conspiracy in the assassination point out the two separate ballistic tests conducted on the Remington Gamemaster had neither conclusively proved Ray had been the killer nor that it had even been the murder weapon. Moreover, witnesses surrounding King at the moment of his death say the shot came from another location, from behind thick shrubbery near the rooming house, and not from the rooming house window.